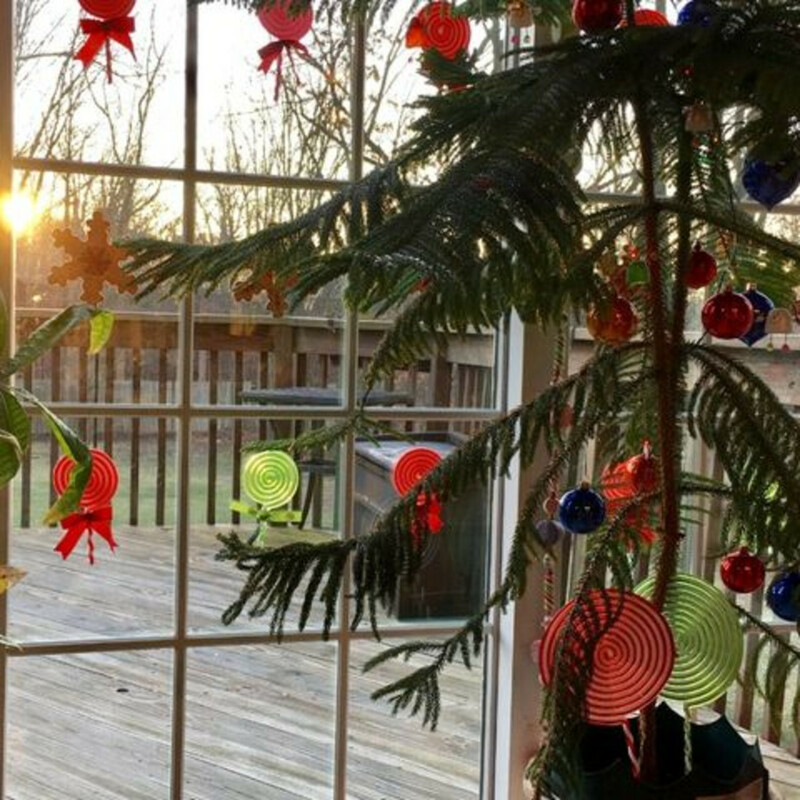 One of the unsung truths of the holiday season is that getting a big, expensive Christmas tree isn’t for everyone. 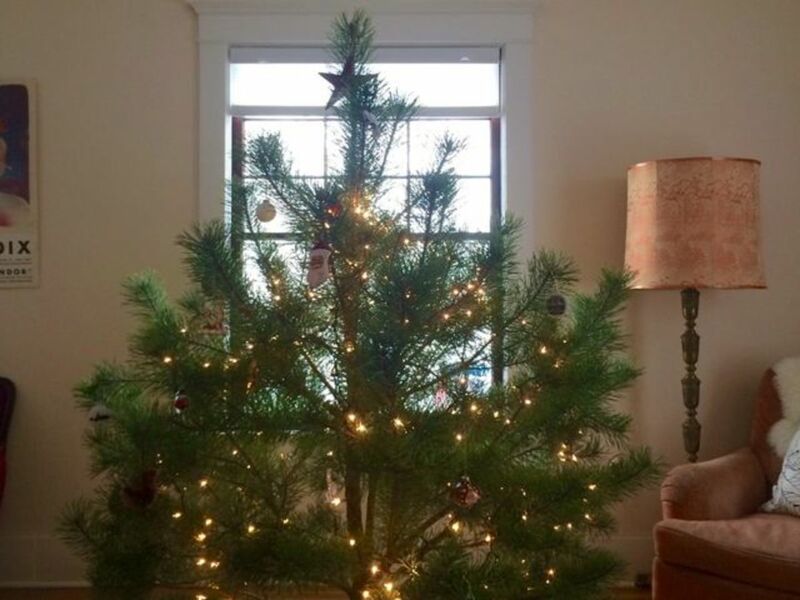 There’s something so cheering and festive about a beautifully decorated tree, but for many reasons — perhaps you travel over the holidays, have a small living space, or simply consider yourself a minimalist — getting a large tree might not be appealing or even possible for you. 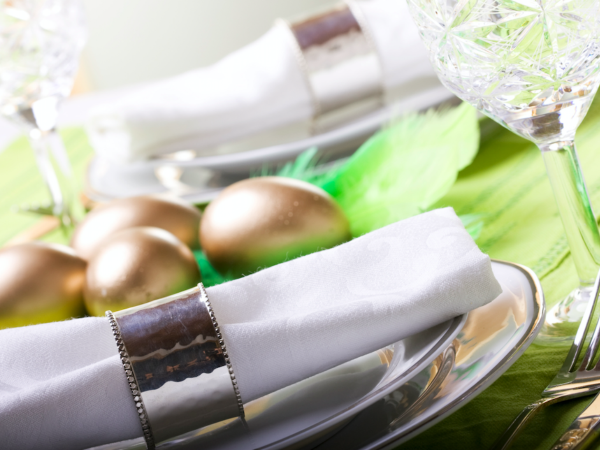 Nevertheless, you can still infuse your home with plenty of Christmas spirit. 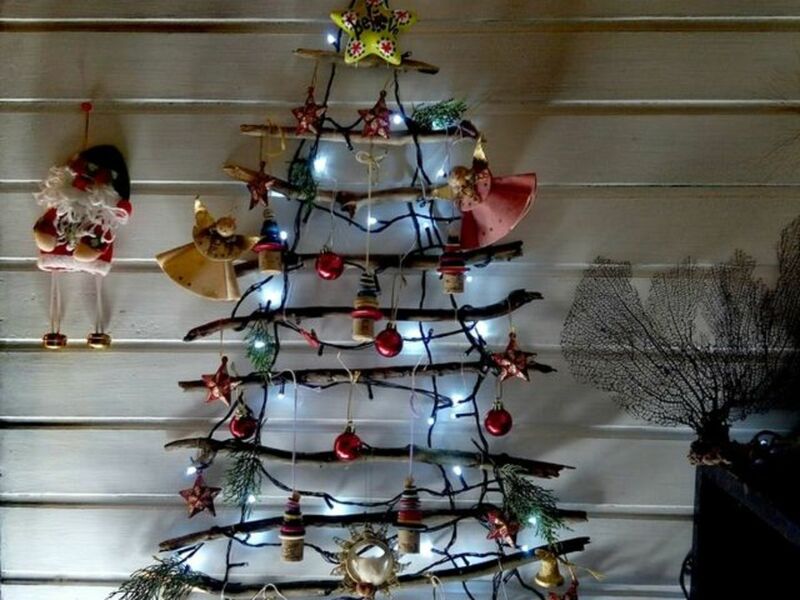 Here are four fun alternatives to a large, decorated cut tree. Chalk. 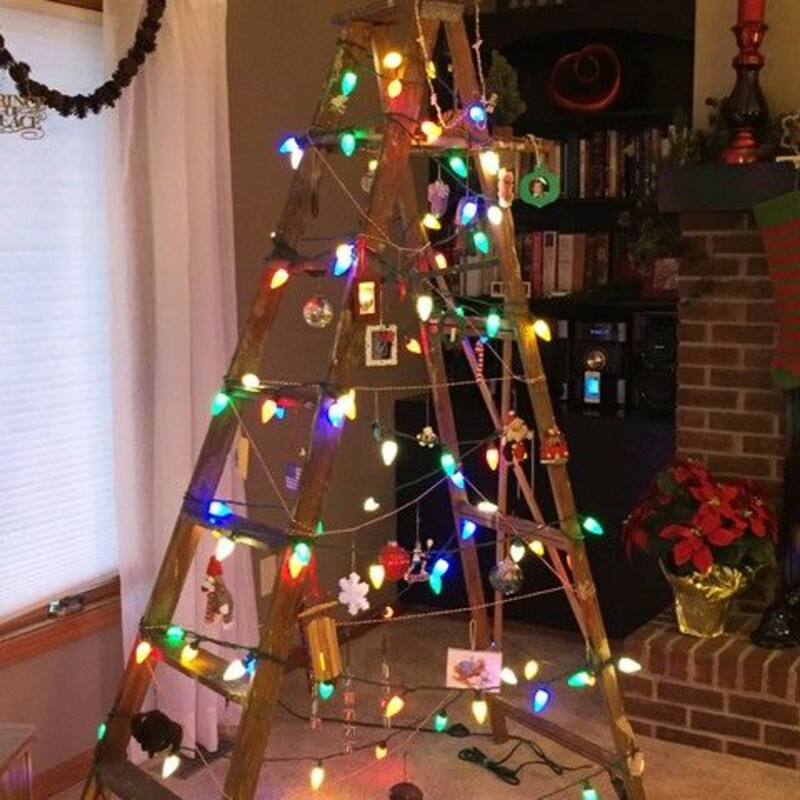 To celebrate in style, you don’t have to get a real Christmas tree — or even an artificial one. 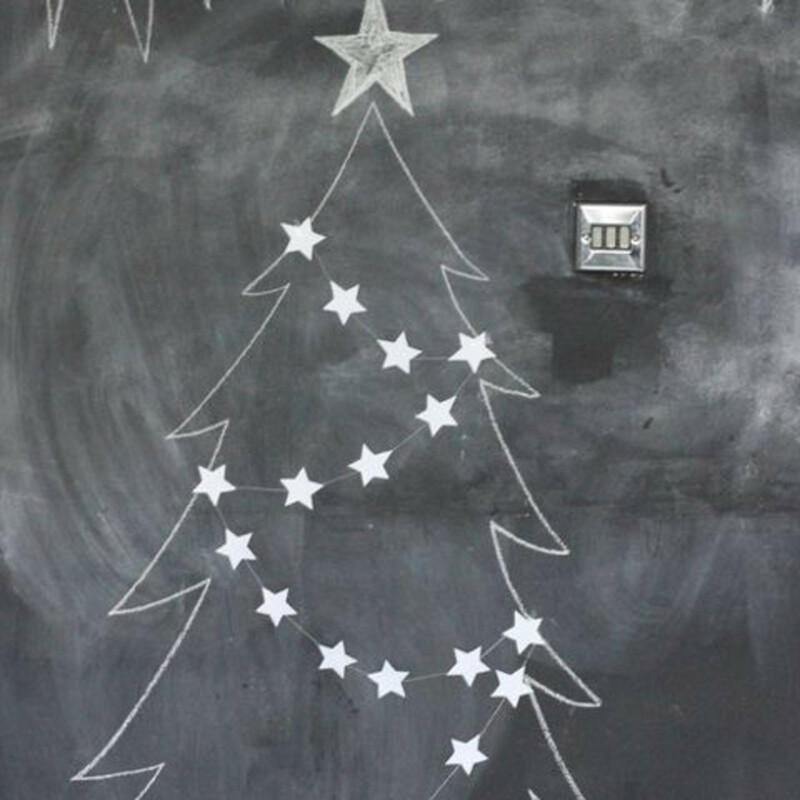 A chalkboard wall can form a backdrop for a simple Christmas tree drawn in white chalk. 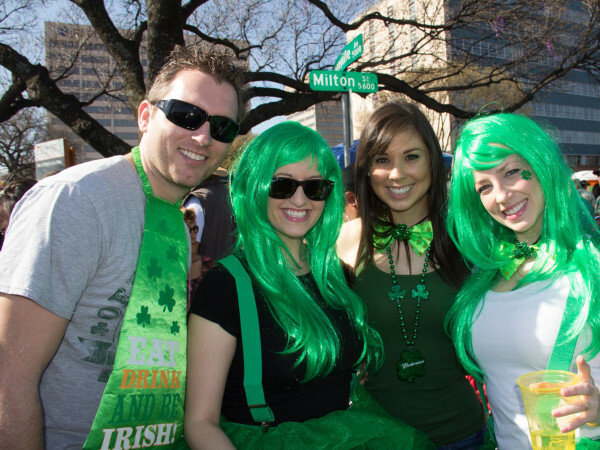 If you are feeling ambitious, you could add more color with red and green chalk. 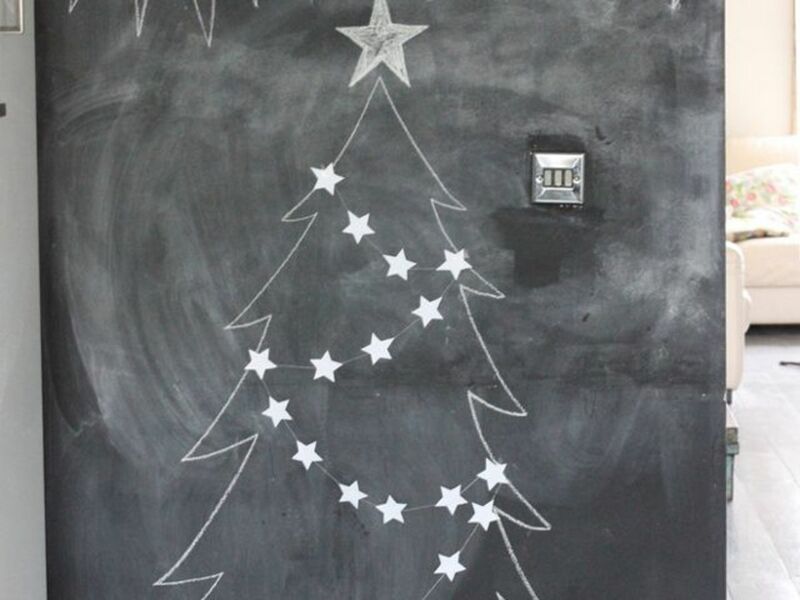 If you don’t yet have a chalkboard wall, a can of chalkboard paint typically costs less than a large Christmas tree. Plus you’ll have a wall for drawing other festive holiday scenes year-round. Washi tape. 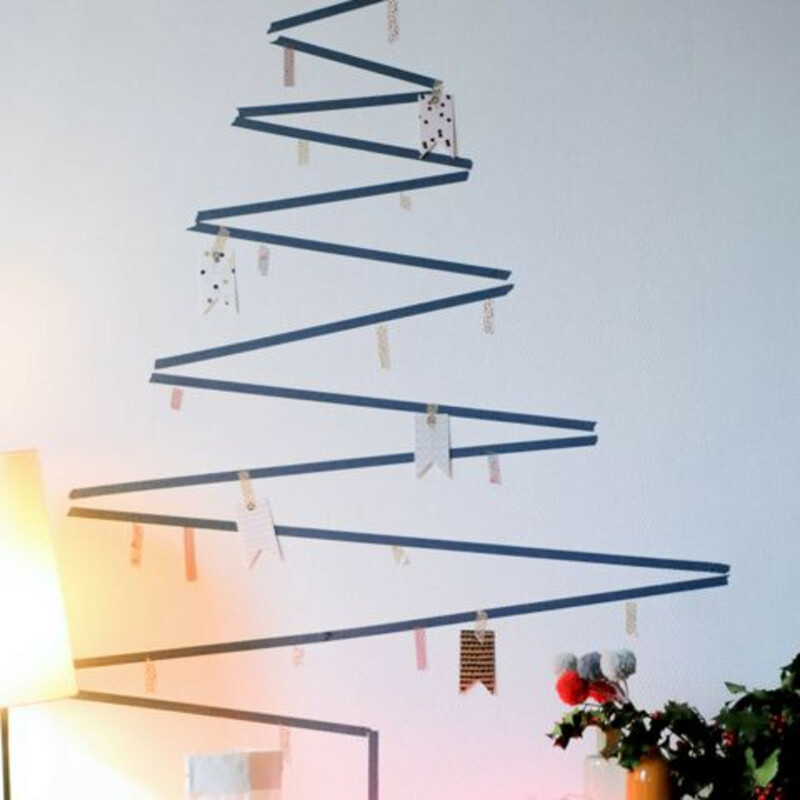 Use this simple tape to make a minimalist tree on your home or apartment wall. 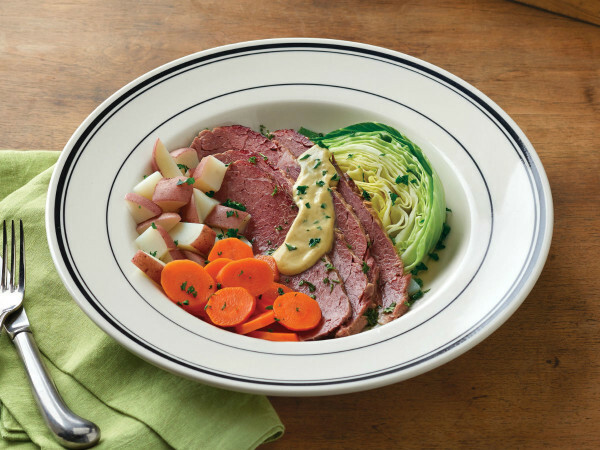 Tuck your wrapped presents beneath it for added cheer. Cut branches. 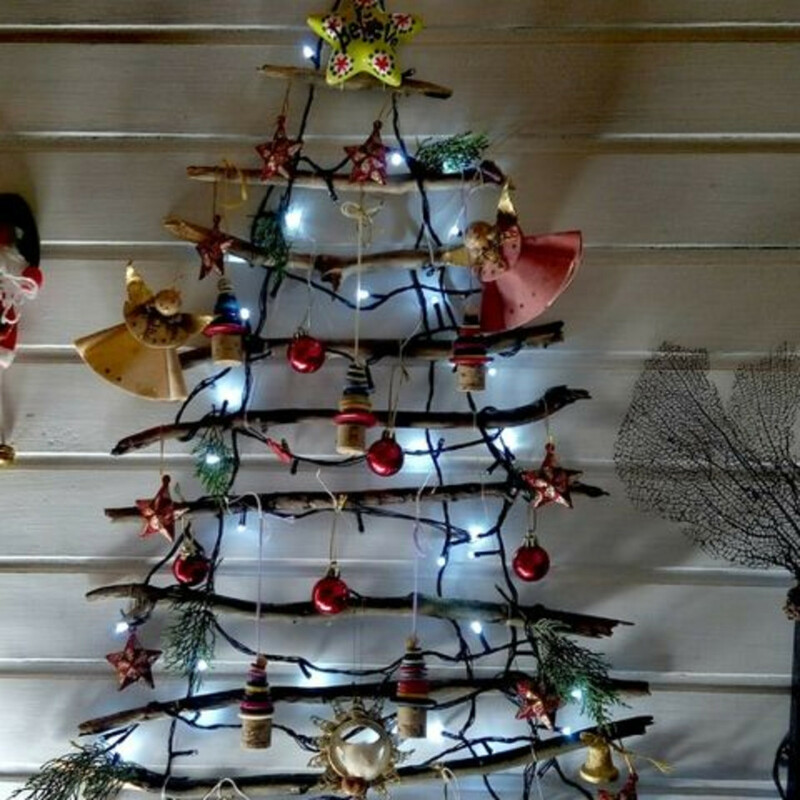 Houzz reader valesga crafted a creative wall tree of cut branches strung together with Christmas lights. You could create a similar arrangement with fallen branches from your backyard or a nearby park. 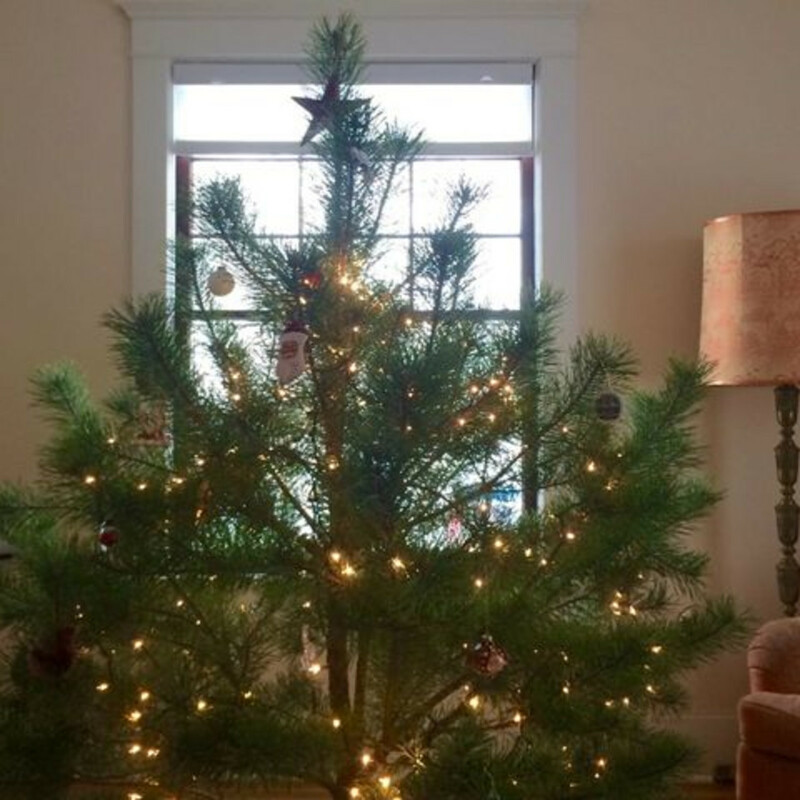 “We are gone a lot of weekends in December and find it difficult to keep a fresh tree watered,” says Houzz reader Lynn Martin Dotterer. 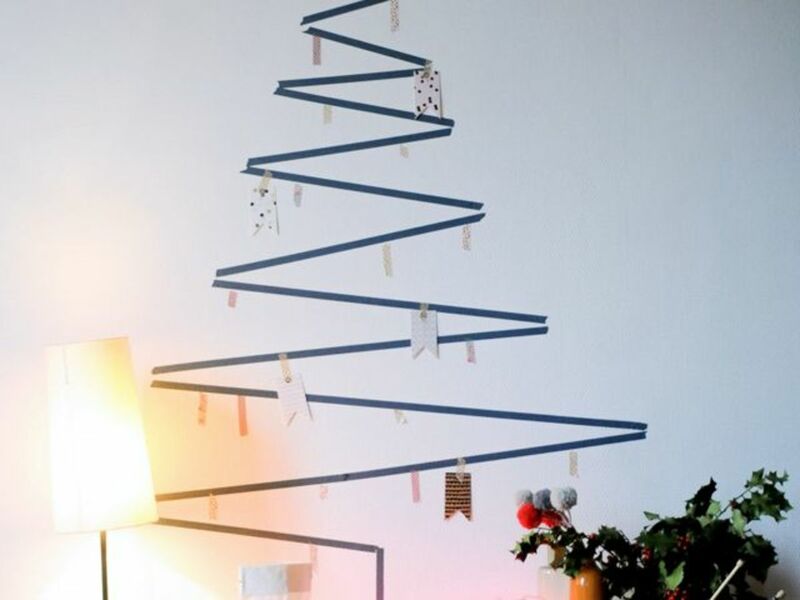 So instead of getting a live tree, they decorate a ladder. 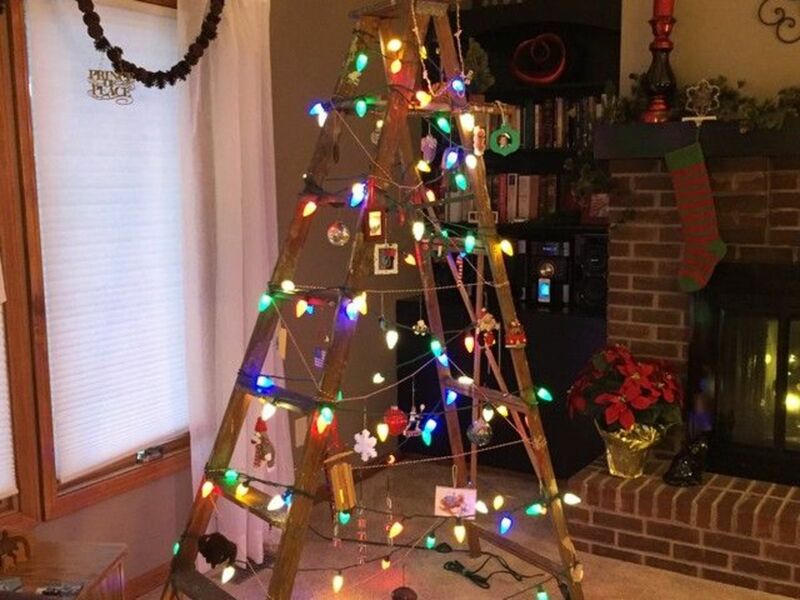 “This ‘tree’ makes for easy storage and is definitely a conversation piece,” Dotterer says. 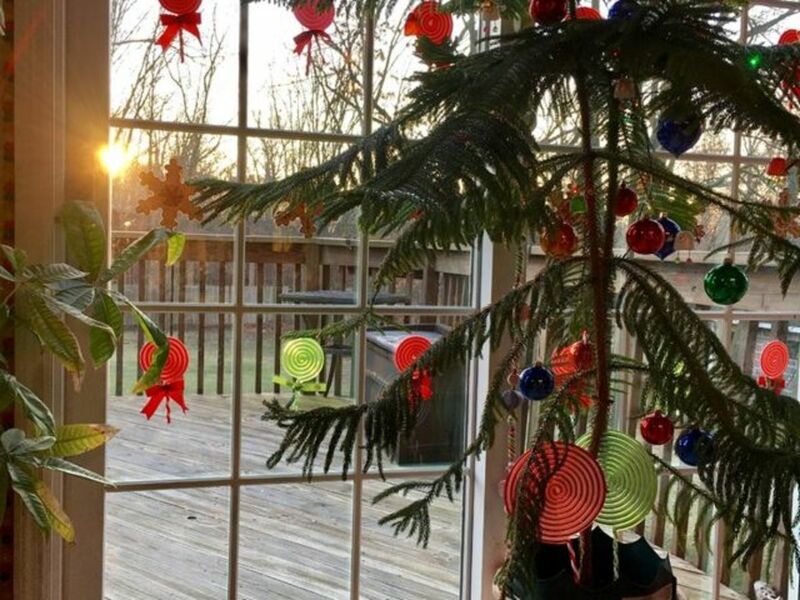 A small tree can be a festive alternative to the classic large ones — plus you can typically find these trees potted with their roots in place, as opposed to cut. Depending on the type of tree you choose and the climate in your area, you may be able to plant the tree in your yard or even tend to it on your balcony. Perhaps your little tree can grow with you over the years. Another option is to choose a Norfolk pine, which looks similar to a Christmas tree but is actually a tropical houseplant.